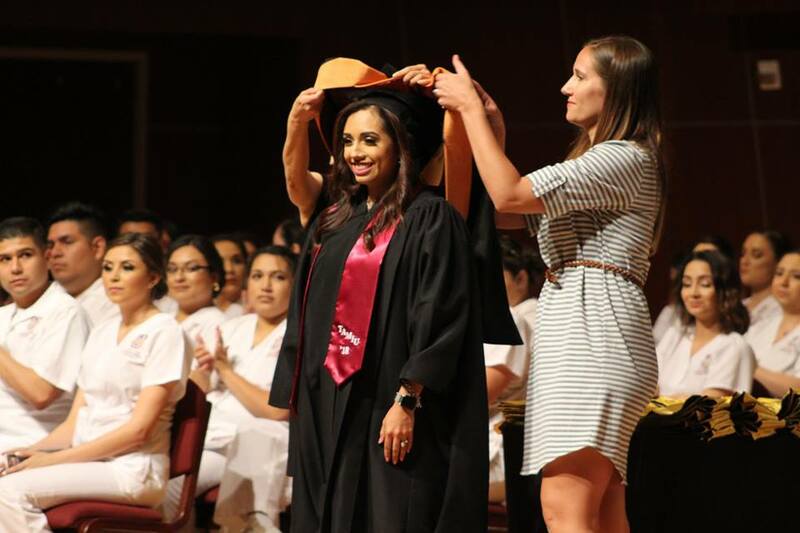 The Hooding Ceremony is a Master's degree candidate-only event that signifies the student's successful completion of their graduate program as a faculty member invests their hood over them. This is in addition to the Commencement ceremony, but also features faculty in full academic regalia. The Hooding Ceremony helps students and their families commemorate their Graduate degree together in a more personal setting. Dr. Jennifer Coronado, Graduate School Dean, personally congratulates each candidate on their academic achievements. Hooding Ceremonies are organized by each College and are currently scheduled for Spring 2019 Graduates as seen below. For more information on TAMIU's commencement ceremony, please visit http://www.tamiu.edu/commencement/.